Really interesting article from the BBC, reproduced here without further comment. 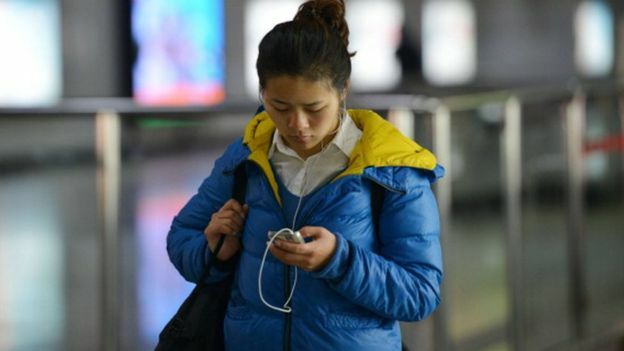 WeChat has hit one billion monthly users for the first time, the owner of the Chinese messaging app has revealed. The vast majority of its users are based in China, where it’s known as Weixin, and where the recent Lunar New Year boosted it past the milestone. But it is still lagging behind Facebook-owned WhatsApp which has about 1.5 billion monthly users. 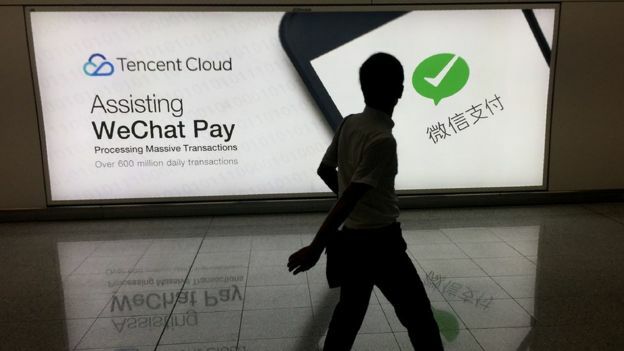 WeChat is the jewel in the crown of Chinese tech giant Tencent. But why is it so popular? Here are five reasons it has done so well. Sure, it began as a messaging app. And it does at first glance look and feel a bit like WhatsApp and Viber. But WeChat evolved quickly, and it lets users do much more than just communicate with their friends and family. It serves as China’s biggest social network. But it’s also where people turn to book a taxi, order food, make a doctors appointment, do their banking, or find a date. And when they are playing games like the huge Tencent-owned hit Honour of Kings, WeChat is where players compare scores with their friends. It has become integral to the daily life of many in China, especially in the cities. It is quite possible to get through an entire day using the app for (pretty much) your every need, which means it’s only going to grow. The growth of digital payments in China means many younger people have skipped the credit card concept for paying online. Instead they use payments services run by local tech giants like Alibaba or Tencent. WeChat’s payments feature lets users upload their banking details and then can buy products or services from any official account. Even taking a small percentage from each transaction makes WeChat in one of Tencent’s best-earners. WeChat has let millions of businesses get into the smartphones of customers and would-be customers. Companies and organisations can create official accounts within WeChat – a little like apps. Some do this before they even set up an app of their own. Users can subscribe to the accounts and get promotions messaged directly to them or click in be taken to a shopping page,. And the payment system already mentioned means if firms can persuade a user to part with some cash, the process of making that transaction is pretty straight forward. And WeChat is a big reason QR Codes have been adopted so readily in China – technology that helps firms get information to users as well as facilitate those payments. Also, while WeChat has been fairly conservative in the amount of advertising it allows on its platform, it is a very targeted way for corporations to reach people. While it is making in-roads in South East Asia and South Africa, WeChat really is still all about China. It understands that market, and taps into what Chinese users are doing both online and offline. For example, the giving of red envelopes containing money at Lunar New Year – the country’s biggest annual holiday – is a huge tradition. A few years back WeChat introduced digital versions of these “hongbao” and its popularity has soared. During the festival which just ended, more than 688 million WeChat users sent or received them. And that created an environment where local players like WeChat could thrive. So too did QQ – another Tencent-owned platform which migrated its users over to WeChat, another boost to its user base. All Chinese social media platforms are required to censor public posts deemed illegal by the government. WeChat is no different. But it insists encryption means others can’t “snoop” on your messages – and that content such as text, audio and images are not stored on its servers – and are deleted once all intended recipients have read them. 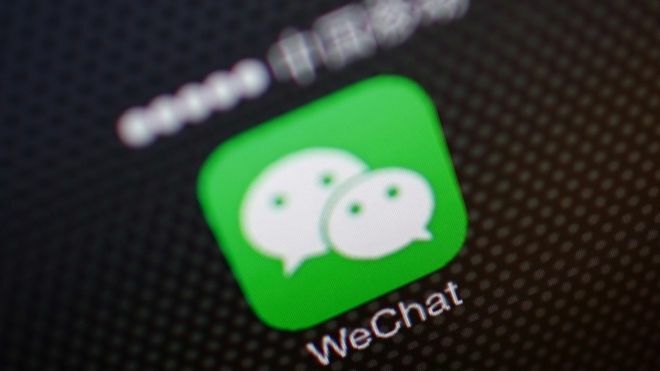 Earlier this year it issued a statement denying “storing chat histories” after criticism from Chinese businessman Li Shufu, who recently said the firm “must be watching all our WeChats every day”. The Tencent-owned firm said suggestions that it was watching users was “pure misunderstanding”. Prev Are you ready for this? Next Melbourne’s radio ratings out – no good news yet for SEN and their new lineup.